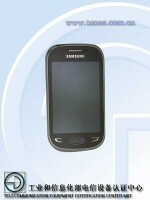 Images of a yet to be announced, budget oriented Samsung handset with dual-SIM functionality have emerged. 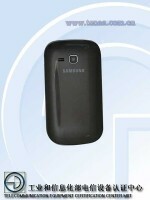 Dubbed Star Deluxe Duos S5292, the device is reportedly scheduled to launch in December in emerging markets. The rumored specifications of the Samsung Star Deluxe Duos S5292 will hardly blow you away. They include a 312MHz CPU, 128MB of RAM, 3.5" HVGA display, 512MB of built-in memory, and microSD card slot. 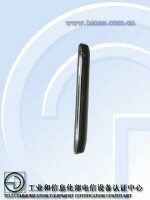 A 3.2MP camera, Wi-Fi, and Bluetooth 3.0 complete the list of rumored specs. There is no information on the OS which the handset will boot. Given its low-end specs however, it is unlikely that the device will be a full-blown smartphone.